Individual leasing, only steps from campus and all utilities included!  You will love living in the classically modern Coronado Place and Towers. Located just 49 feet from St. Louis University for graduate and undergraduate programs, and only a short drive from Saint Louis University School of Medicine, Saint Louis University School of Nursing, St. Louis College of Pharmacy, and Saint Louis University School of Law, Coronado Place and Towers is SLU 's best source for attractive apartment homes! Whether you are starting your first job, transferring to SLU, or a current student, our unique floor plans give you plenty of options to choose from. Our apartment homes come with free internet access, free extended basic cable, all inclusive utilities in most units, washer and dryer facilities in every building, and unique amenities that you won't find anywhere else in St. Louis. All of our units come complete with spacious closets, central air conditioning, and stylish flooring. With a rooftop swimming pool, 4 parking garages, private fitness, group study areas, and rec room. Access to a movie theater, bowling alley, shopping, and more!